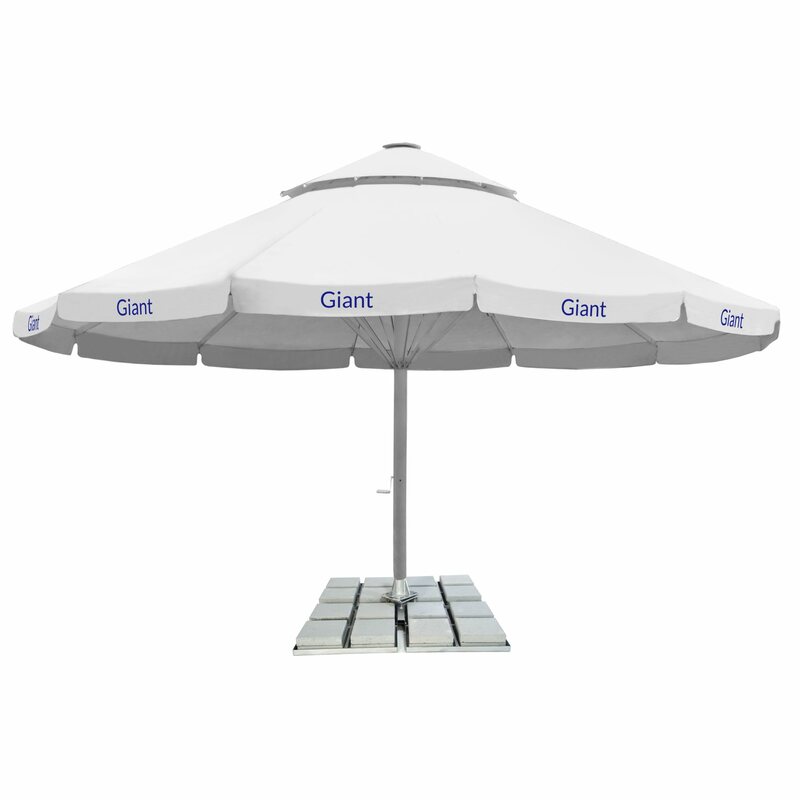 Giant Parasol is the largest parasol from the collection of advertising parasols offered by Litex Promo. It comes in two possible types, depending on the canopy shape. Square shape, in two sizes – 6 and 7 meters and round shape – coming in 8 meters size with 12 panels. 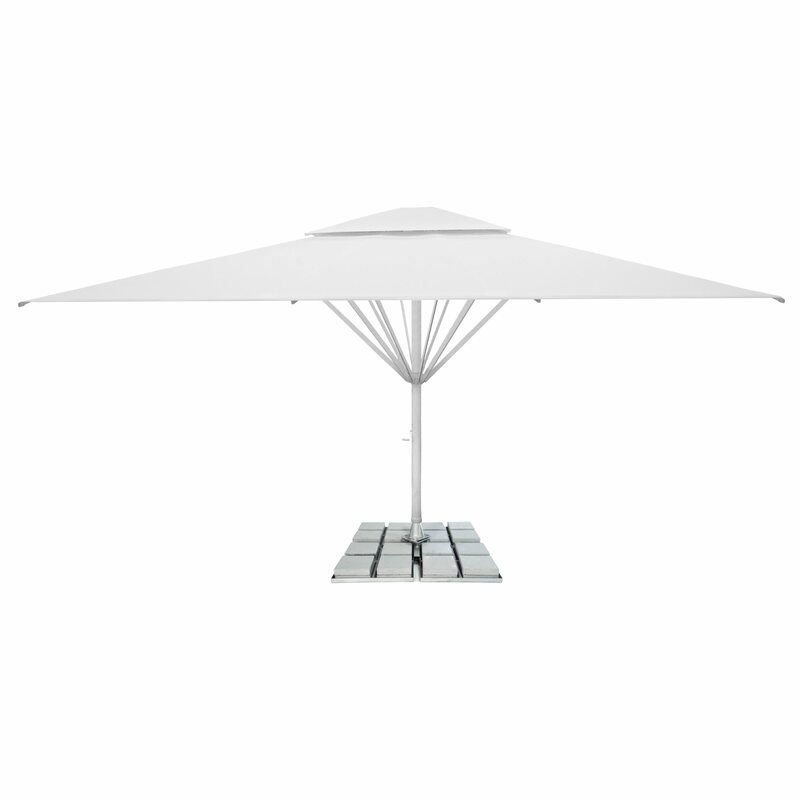 The construction relies on a solid, aluminum frame to be constructed of 12 arms. The frame comes in versatile, classic white colour. Litex Promo offers printing elements of the Client’s brand’s visual identification on the valance of parasol, thus adjusting it to the promotional use. Vivid colours enduring despite various and tough weather conditions – is fundamental to those means of marketing, displaying the brand elements and contributing to identification of them with high quality in general. Litex Promo. Giant Parasol is a distinctive marketing tool, suitable for use in a variety of relevant contexts. 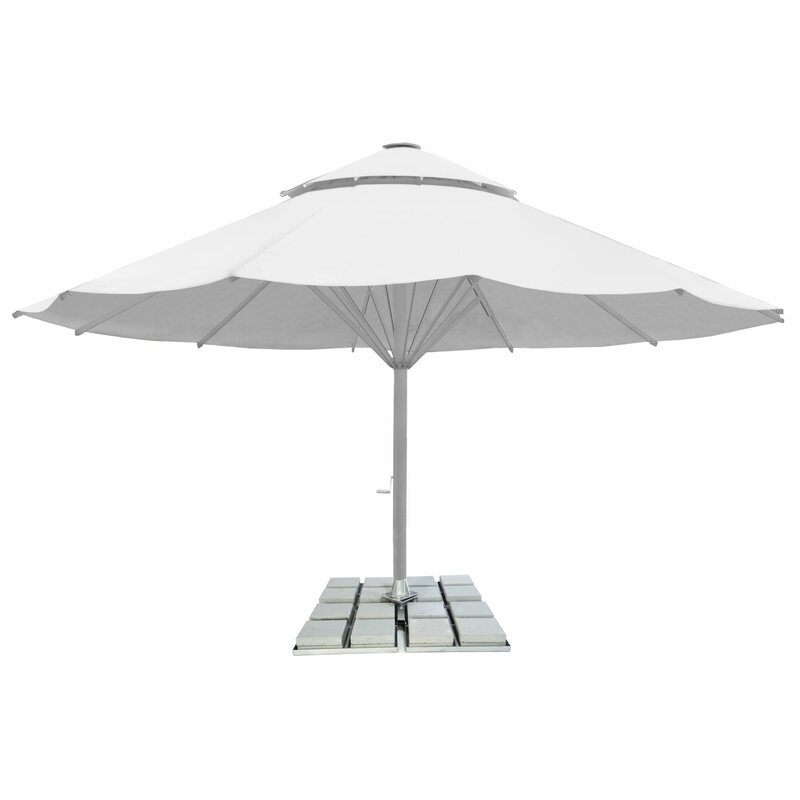 Thanks to the size of the canopy, the parasol stands out and draws attention on its own which is an excellent feature from the point of view of the marketing campaign. Boosting the brand visibility positively influences sales, making the products and/or services offered by a brand more recognizable and therefore more preferred.